I'm not really a fan of tea - I actually consider myself a coffee person. But when you add milk into the picture, I may consider. 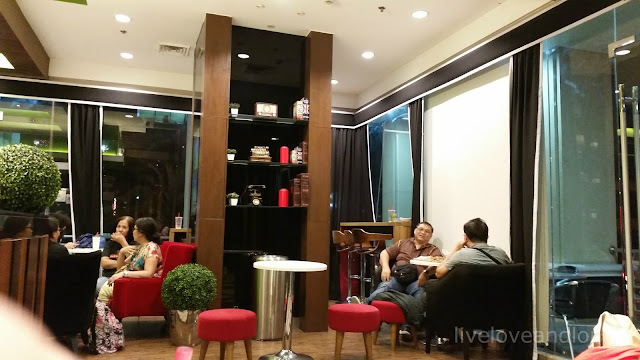 Milk tea has grown popularly in the Philippines, there are milk tea shops all around the Metro. 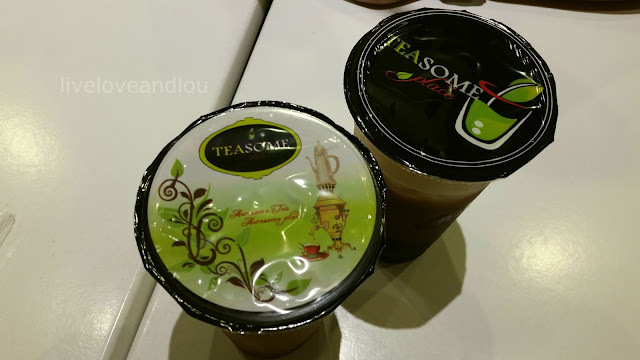 I can still remember a time when there was only Quickly to satisfy our milk tea cravings. My sister is an avid fan of milk tea and has dragged me to one shop, Teasome Place in Il Centro (can you believe this place was just a parking lot the last time I was here.) There was also the traffic situation in the area, so we had to find a place to hang out and let the traffic die down a bit before we went home. The interior is very fun. I love the wood textures and the greens (fake, but it adds life to the place) that were used to create a sort of homey feel. The mismatched furniture was also spot on. I was originally looking forward to the Choco-Mint milk tea, unfortunately mint was not available. I was happy with my Choco-Banana, nonetheless. My sister had a Wintermelon Snow which had some rock salt and cream cheese in the mixture. I pretty much did not like the salty taste but she loved it. Different strokes for different folks, I suppose. They also have some snack items on their menu which was good to share. 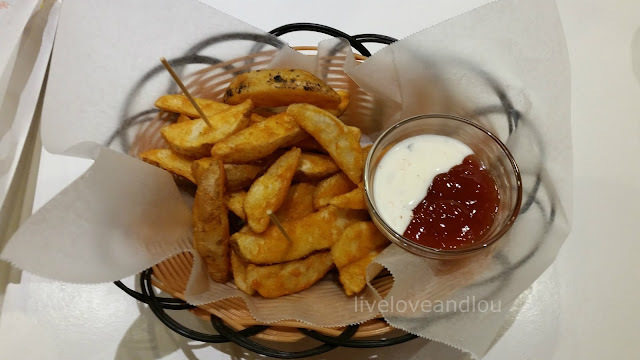 We had some potato wedges - just because I love them - and some Chicken Chops. The Chicken Chops reminded me of a certain snack we always had during grade school days, but I can't exactly point a finger on what it is. 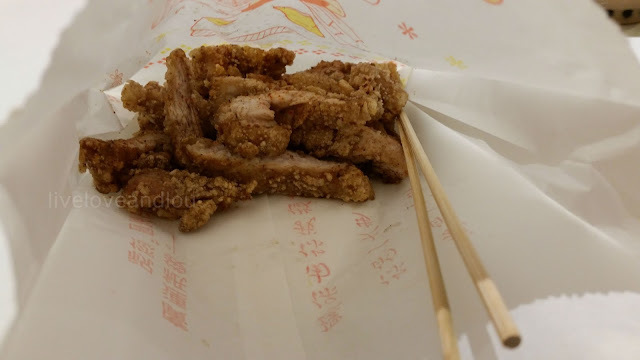 It's basically peppered chicken strips but are a perfect match to the milk tea. I'm definitely going back, even just for the Chicken Chops.